• Browns Lake, a high elevation cutthroat lake in Pend Oreille County. • Bayley and McDowell lakes on the Little Pend Oreille National Wildlife Refuge southeast of Colville. A few northeastern Washington lakes are known for pumping out some of the state’s top catch rates during the opening week of the lowland lake fishing season. Even more lakes will be in good conditions for Saturday’s opener. “The ice came off some of the lakes sooner this spring,” said Bill Baker, Washington Department of Fish and Wildlife fisheries biologist. Mudget Lake is likely to be one of the top rainbow trout lakes in Stevens County for the opener, with plenty of 11- to 12-inch fish. Cedar, Starvation and Rocky lakes also are perennial standouts that should fish well again this year, although the size could be a bit smaller. Waitts Lake is prized by anglers willing to trade the faster action of rainbow lakes for a chance to catch hefty brown trout. 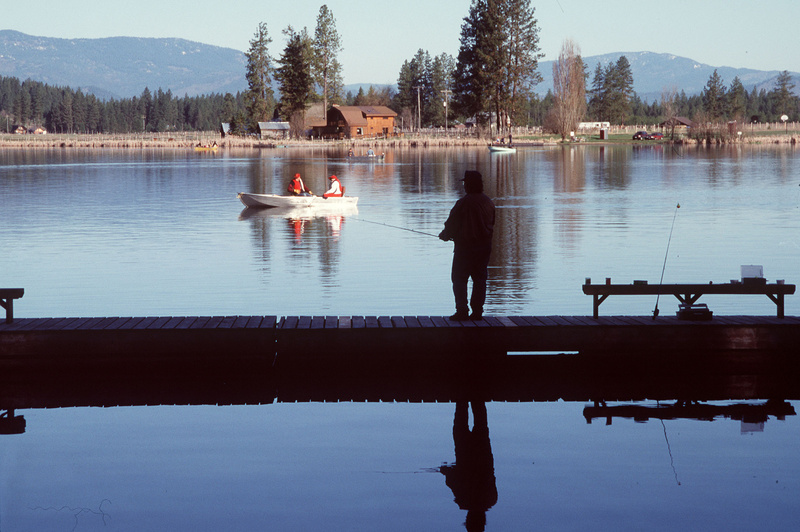 Curlew is the top fishing lake in Ferry County, with trout, smallmouth bass and tiger musky. New this year, more catchable-size trout will be available for stocking with mitigation money from the relicensing of Boundary Dam. The program funded by Seattle City Light will stock approximately 12,000 pounds of trout and kokanee a year in Stevens and Pend Oreille county lakes for the next 40 years. • Pend Oreille County – Big Meadow, Carls, Crescent, Deception, Frater, Lead King, Ledbetter, Leo, Little Lost, Nile, and Yocum. • Stevens County – Cedar, Deep, Gillette, Heritage, Sherry and Thomas. “The benefits will be most noticeable in the Pend Oreille chain – Thomas, Sherry, Gillete, Heritage and Leo, as well as Nile,” Baker said. Stunted warmwater species have overpopulated these once-popular trout lakes since the state ran into issues with using rotenone to control them.